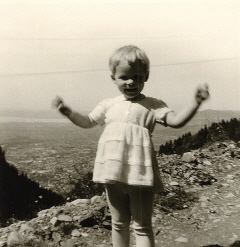 1974 - I got awefully sick .. but hey I´m still alive! 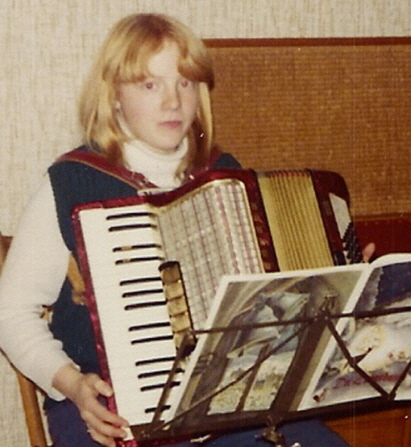 1974 - holy communion - what a pretty girl is that? 1989 - near St. Sebastian - Spain - lots of sunshine again! 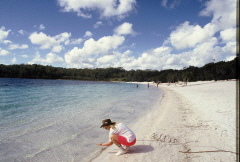 1990 - Fraser Island / Queensland - Australia - MY OST FAVORITE PLACE IN THE WORLD! 1992 - me marriage - WOW what a day! 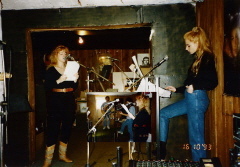 1993 - practising with my "Goldrush Country Band" . 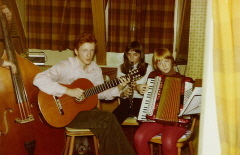 On the right hand side is my sister Karin singing with me. 2010 - videoshooting with "my kids" for "Christmas Christmas"...by the way to my left and right hand side are my grandchildren Sophia and Leon. 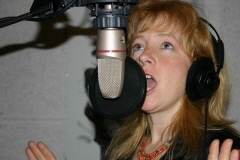 2011 - recording "White Roses" for Charity Projekt " S.O.S. Save our Souls"
2012 - Cover shooting for "Highway 95"
2015 - Photo shooting Oct. 2018 for "All For One"